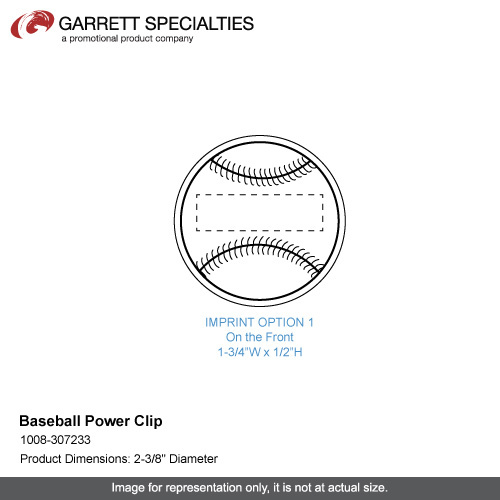 Baseball Power Clip great giveaway for team sponsor gifts. Circle-shaped power clip with magnet on back side. Baseball image on front side. 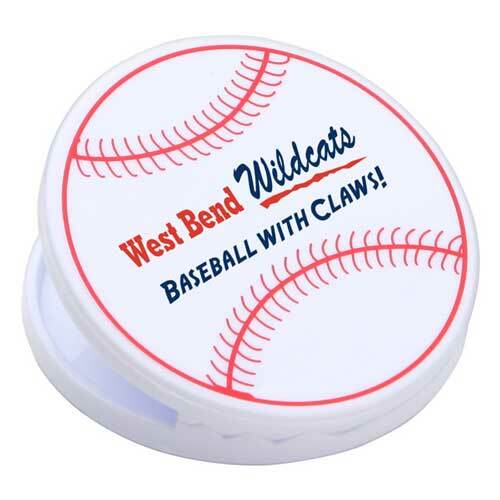 This baseball power clip has a circle shape with a baseball image on the front side to impress all of your sports-minded customers.Featuring a magnet on the back side for easy hanging of all of your important memos and papers, this 2 3/8" clip is the perfect item to keep handy at your home or office. Customize with your company name and logo to create a memorable giveaway that will hit a home run with your target audience. Individual Polybag / 26 lbs / 350 pcs. / 24x14x15box. Imprint Area: 1.75" x 0.5"